Margaret Pederson received her professional training in commercial art from the College of the Sequoias in Visalia, California. 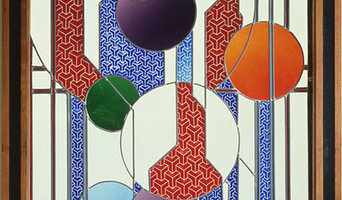 While studying there, she was asked to design a stained glass window for the entry door to the Art Department. 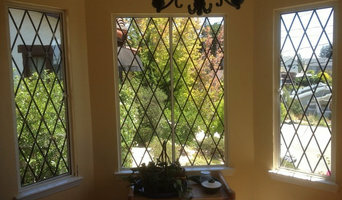 She started her first stained glass restoration and design studio in 1986. Since then, she has completed scores commissions, in dozens of cities and counties throughout Northern California. Margaret adopted the name "Sea of Glass" for her business in 1986. Opened in 1980, Art Works has been a source for murals, stained glass and signage in the San Francisco Bay Area for 35 years. Artist and owner John Espinola holds a Bachelor of Fine Arts in Painting from San Jose State University. He approaches each project as both artist and artisan to create pieces that are beautiful, timeless, and unique to each individual client. Theodore Ellison Designs handcrafts leaded glass into period-inspired architectural windows and lighting. Guided by a collaborative approach, the company works directly with homeowners, architects and designers on their custom projects, producing them one at a time, with great attention to detail. Through good design and innovative fabrication, Theodore Ellison Designs proudly offers a refreshing approach to this 800 year old art. With years of experience, we pride ourselves in giving our customers the best possible experience we can offer. We work with you every step of the way, and do our best to make sure the entire process from beginning to end is a simple and easy process. Since 2001, Legacy Glass Studios has created custom-designed stained glass, leaded glass and art glass in the San Francisco Bay Area and beyond. 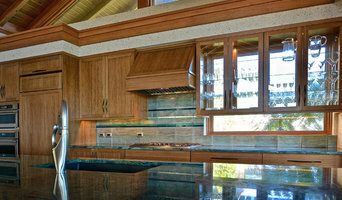 We are a full-service art glass company known for our creativity, expert craftsmanship, and professional service. Everything is hand-made in our studio in Menlo, Park, CA. We do it all, from design to fabrication to installation (local only). 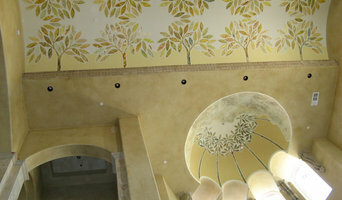 We are proud to carry on a long tradition of creating beautiful art glass for private residences and public spaces. No job is too small or too large and we continue to expand into new areas. We also care deeply about preserving the legacy of glass artists who came before us, and offer services for repair, restoration, and repurposing your art glass. Our goal is for each client to be absolutely delighted with both the process and the result – a legacy of lasting beauty to enjoy for decades to come. Sheets Enterprises has been making Windows & Doors for over 30 years. The business grew out of a need to build quality wood windows in a timely manner for our own historical restoration projects.The window & door business has grown to the point where it overshadows our other restoration projects. 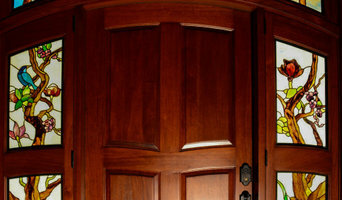 We can reproduce energy efficient custom windows to match a historical door. Our highly trained crew of installers is available for local installations.